When the golf and social activities of the Bryn Mawr Club shifted to the newly opened Minikahda Club at Lake Calhoun in July 1899, the Bryn Mawr golf course and club house didn’t stand empty for long. Two weeks after the Minikahda Club opened—and promptly became the hub of Minneapolis social life—golfers were already at work to get back on the Bryn Mawr links. The Minneapolis Tribune on August 9, 1899 attributed the interest in reviving a golf club at Bryn Mawr to “young businessmen who find the Minikahda links at too great a distance from the city.” The paper speculated that the organizers of the new club also expected that the links could be used “at comparatively little expense.” A meeting of those interested in organizing the new club was announced at the West Hotel. In a little more than a week, the new Bryn Mawr Golf club had been officially created with a membership limit of 200 (compared to Minikahda’s 700) and initiation fees of $10 for men and $5 for women. Curiously, the club was organized as a corporation that was to be limited to ten years. Why that provision, reported in the Tribune of August 18, was made in the club’s organization eludes me, unless it could have been based on a lease for the land. That provision may have been a factor in the creation of another well-known club when those ten years were up. Initial reports were that the new club would also use the old club house, but that didn’t last long. By the time the new club held its annual meeting on March 19, 1900 prior to its first full season in operation, it already had architectural plans drawn for a new two-story club house that would cost about $2,000. It had “all the necessary adjuncts of a modern club on a small scale,” according to the Tribune. The exact location of the new club house wasn’t cited, but was evidently nearer the present intersection of Laurel and Cedar Lake Road than the earlier Elm Street address. The new club also lengthened two holes at Bryn Mawr making the course a few hundred yards longer. Despite the increased length, the “bogey” for the course (par) was reported in the Tribune as 38, or seven strokes lower than the bogey score when the course was established two years earlier. The Tribune also reported that club member F. A. Stuart had already posted a course record of 42. Players were clearly getting better. The new club hired a part-time instructor, Martin Watson, who split his time between the Bryn Mawr course and the brand new Lafayette Club course on Lake Minnetonka. Martin was the brother of Minikahda pro William Watson. The other big golfing news of 1900 in Minneapolis was foreshadowed by an article in the Minneapolis Tribune, June 17, 1900, which reported that Minneapolis Mayor James Gray had tried his hand at golf for the first time at a new St. Paul course at Merriam Park. (The course was bounded by Selby, Summit, Snelling and Prior.) The humorous piece detailed Gray’s adventures on the new course. The afternoon of golf must have made a big impression on His Honor because Harper’s Official Golf Guide, published in 1901, listed a Lake Harriet Golf Club in Minneapolis organized in September, 1900. The listing for the club included Mayor Gray as a “Principal Member.” The listing for the club and its “nine-hole course” in the guide provides no information on the location of the course. The Bryn Mawr course was often referred to in the press as the “businessman’s course.” Newspaper accounts of local golf competitions among clubs noted also that some golfers were members of both Minikahda and Bryn Mawr. Although Bryn Mawr never promoted the social aspects of club life as Minikahda did, the club did expand its offering in 1900 with the addition of two tennis courts and a handball court. The end of the Bryn Mawr Golf club was announced in the September 4, 1909 issue of the Minneapolis Morning Tribune. “When the Bryn Mawr Golf club closes its present season it will move from its grounds…and next year will find the home of this socio-athletic organization farther out in the country,” the paper reported. The paper speculated that grounds would be found beside Lake Minnetonka. It claimed that the old Bryn Mawr clubhouse site would be taken over by a newly organized tennis club. In late November, however, the Morning Tribune reported quite a different location for the new club. “Options have been secured by the Bryn Mawr Golf club on 150 acres of land bordering Mirror Lake, three miles beyond the Harriet loop and bonds are being sold to enable the promoters to consummate the deal,” the newspaper reported on November 28. The Bryn Mawr Golf club was about to transform into Interlachen Country Club. The little $2,000 club house at Bryn Mawr was scheduled to be replaced by a $25,000 club house (soon increased to $30,000) at what would become Interlachen. By January 9, 1910 the newly organized Interlachen club announced that it had acquired 146 acres of land between the Brookside and Mendelsohn stations on the Minnetonka streetcar line for the new country club at a cost of about $55,000. Golf play continued at Bryn Mawr for the 1910 season while the new course and club house were being constructed. With the formal opening of Interlachen Country Club in late July 1911 it became the second child of the nine-hole course and club at Bryn Mawr. Two of the oldest and most prominent private clubs in the Minneapolis area were both given life by Bryn Mawr, the modest little club that could be reached by streetcar. I don’t suppose Interlachen has many members these days who take the bus to play a round of golf. At about the time that the Bryn Mawr golf course went out of business, the Minneapolis park board was acquiring land nearly surrounding the old course. In 1908 the park board purchased more than 500 acres to add to Glenwood (Wirth) Park west of Bryn Mawr. 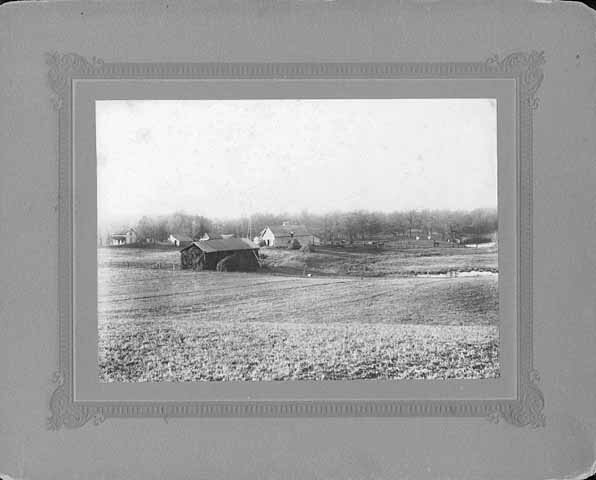 In 1911 it purchased most of the land for what is now Bryn Mawr Meadow Park. The remaining land along Bassett’s Creek between Bryn Mawr and Glenwood was acquired by purchase and donation in the 1930s. In the mid-1920s the Minneapolis Board of Park Commissioners added what was then it’s fourth golf course, Meadowbrook, next door to Interlachen.